← Buying Crystal Awards? Here Are 6 Crystal Shape Types You Can Choose From! Gifts are a great way to let people know how you feel about them. Whether the gift is given to mark a special occasion or is simply a declaration of love or care, it is important to choose appropriate gifts that the recipients will appreciate. A gift can speak your heart and when you choose personalized gifts they bear a loving touch that makes the receiver feel special. There are different types of personalized gifts that can leave a lasting impression on those receiving them. When you decide to give a gift for any event, you should choose a unique item or souvenir that reminds the person of the event. The reason why choosing a personalized gift works perfectly is because of the extra time and effort that goes into making the item special. The following tips will help you when shopping for unique gifts and personalizing them. The first thing you should remember when selecting a personalized gift is the occasion or actual purpose for which you are buying the gift. If you are shopping for special occasions such as birthdays, weddings, anniversaries, retirement, graduation or any other event, you need to choose a gift that will suit the occasion. Select a gift that will be appropriate for the person bearing in mind that this will depend on the person’s age, gender and even position. It is important to choose items that are unique to avoid buying a gift that the receiver will not appreciate. Many gifts have become common and finding something unique can be difficult. The last thing you need is to give someone a gift only to realize that the person has several similar items. Items like photo mugs, personalized pens, jewelry and other products are commonplace and you need to find unique items that will be appreciated. Choosing versatile gifts like personalized crystal is a good idea. It helps to know the taste of the person you are giving the gift to so that you can make the best decision. Many times people buy gifts that they assume will be perfect for the recipient only to choose items that do not suit the taste of the receiver. Remember that you should not shop based on your point of view but rather respect the desires of the recipient. 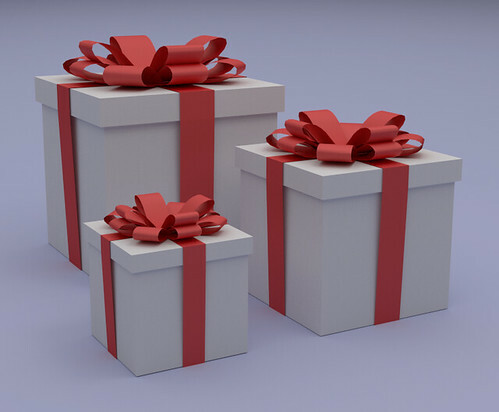 By making sure that, the gifts that you choose are personalized with the recipient’s name and maybe the date, you can ensure that your gift is unique. The best way to get the perfect gift is by carrying out research. Research the interest and taste of the recipient as well as the types of gifts available. Admittedly, it can be difficult to choose due to the wide range of options available but research will help you to choose an appropriate gift. Fortunately, the internet has made it convenient to do research and you can find exactly what you need. When looking for personalized gifts, it is important to make sure that you shop from a reputable store. Buying a good quality crystal gift from a reputable company will help you to make the right impression.